We’d love your help. Let us know what’s wrong with this preview of Enemy of the World by Road Warrior. Enemy of the world, cursed by all, Sungchul Kim goes on a quest to prevent the ‘Prophecy of Calamities’ from coming to pass. But no matter how much he raised his strength, there were still some things he could not achieve with physical strength alone; Facing the Devil King of the 'Other World', Sungchul is forced to accept this fact. Resolving to obtain the power of magic, Enemy of the world, cursed by all, Sungchul Kim goes on a quest to prevent the ‘Prophecy of Calamities’ from coming to pass. To ask other readers questions about Enemy of the World, please sign up. will this come onto audiobook?? Okay, so I went into this book pretty cleanly with no real expectation (I was bored) and I got taken by surprise. Here is your everyday, overpowered, MC who suddenly finds himself unable to defeat his enemy without something new. Magic. It's not the first time I've read about OPed MC, taking Darkness Rising for instance, or One Punch Man for the anime fans. Now having said this, there has always got to be something engaging about the MC if you expect us to feel anything for the powerful SOB. In Okay, so I went into this book pretty cleanly with no real expectation (I was bored) and I got taken by surprise. Here is your everyday, overpowered, MC who suddenly finds himself unable to defeat his enemy without something new. Magic. It's not the first time I've read about OPed MC, taking Darkness Rising for instance, or One Punch Man for the anime fans. Now having said this, there has always got to be something engaging about the MC if you expect us to feel anything for the powerful SOB. In this book, it's done pretty well. While we don't actually see our MC struggle at, really, any point in the story, it's not the MC that's struggling. From the get go, we are introduced to a world that is not only odd, but somewhat falling apart, with a dark prophecy hanging over it's head. We have the problem. Our MC is the answer. It's a simple plot point to follow, but by no means is it less interesting. Finding out who our MC is through little clues and non-told stories is sort of thrilling. He's been through so much and that shows in his every action despite how effort-less it is. It was also refreshing to stay the hell away from Romance in these types of stories. I'm tired of love interests getting a bigger role in the play than the damn plot. Is even He strong enough? Truly an interesting and original story. I am looking forward to the next one. Balance is a good way to describe this book. One truly over balanced by his strength yet with tasks still eminently difficult. I was also interested in learning how the author and many others it takes to translate this book into English. Remarkable! I liked it that really is about all there is to say though i am going to do a little research, if it's written by someone born here in the states he uses a fair amount of Asian idioms and such, and if it's a translation...eh I've read worse. At least this one i am looking forward to the next installment. I didn't finish this, made it to 34% before I have up. I didn't like anything about this book except that the editing was too notch. The story itself was sub par. Nothing was done to try and make the MC s likeable character. Dropped this series and honestly can't even see a glimpse of what others like about it. Not sure why, but the Korean version of xianxia stories are just a bit different. Not in a bad way, but noticeable. It might have been just me, but it messed with the immersion into the story. Still, I enjoyed the storyline and look forward to the next in the series. 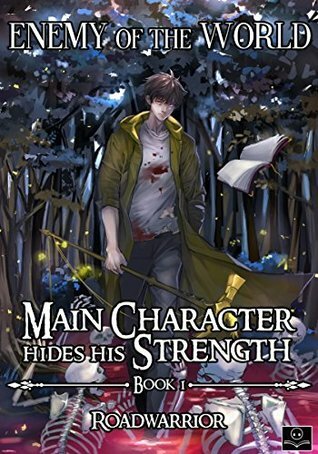 Awesome fantasy/adventure novel, the main character starts out strong but he struggles with many obstacles in his path, he has been through hell and back and has become a lone wolf after being betrayed countless times. I couldn't put it down, it is extremely entertaining. The Enemy Of The World was Amazing. At first you have that overwhelming guy who radiates an oppressive presence, but then you see all these restrictions limiting him. The story is awesome and I sure as hell want the a second part as soon as possible. Who has a problem with too much power? The main character falls a little flat as his interactions are just way two dimensional...but I have always liked overpowered themes so I give this one a thumbs up. I thoroughly enjoyed this book. The main character is obsessed with strength and becoming stronger, even if he is already unstoppable. I would love to have more background, but the basics are there. Looking forward to the second book. I found this book to be a very enjoyable read with a great main character and awesome world building. I am very much looking forward to the second book in the series. I'm sure if you're reading this review, you've already read others...this is a fantastic read. The pace is awesome, the plot is well thought out, the main character is everything you want, etc. If you don't read this: -5 strength and cursed with erectile dysfunction. Took a little bit to get into it but once I really committed to reading the book I enjoyed it. Will read the next one whenever it's available. Very good storyline. I had me enjoyed back to do the most simplest of things. Definitely looking forward to a second book. I am impressed with this book. Korean books are hard to translate, but this one was a great read. Good story. This is the first review I have ever written despite reading hundreds of books just so I could rate this five stars. Great story so far, I lie the fact that even though the hole world oppose the MC he still walking onward on his mission. Good read so far in the story. Love everything about this novel. Would recommend everyone to give it a try.